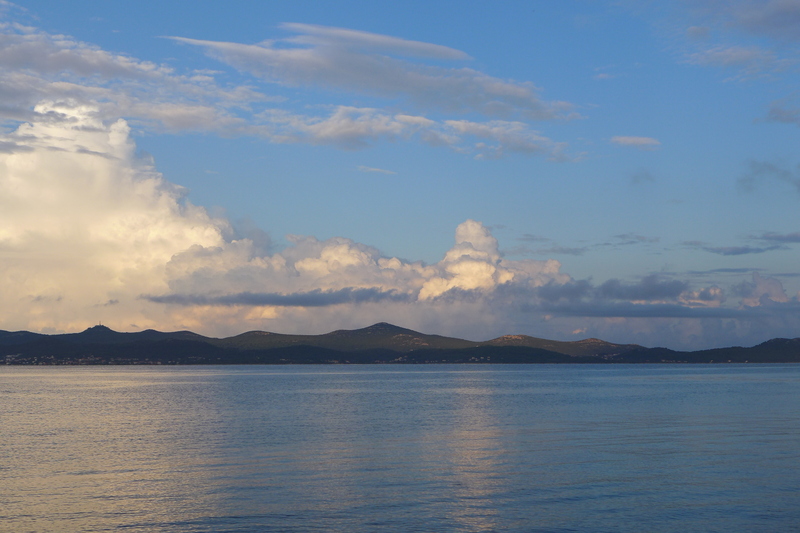 Croatia has been a country of wonderful surprises. Landing by ferry in the Northern port city of Rovinj, I met a very kind couple from Chicago, a few neighborhoods North of where I live, who were nice enough to invite me for a drink on our first night in the city. 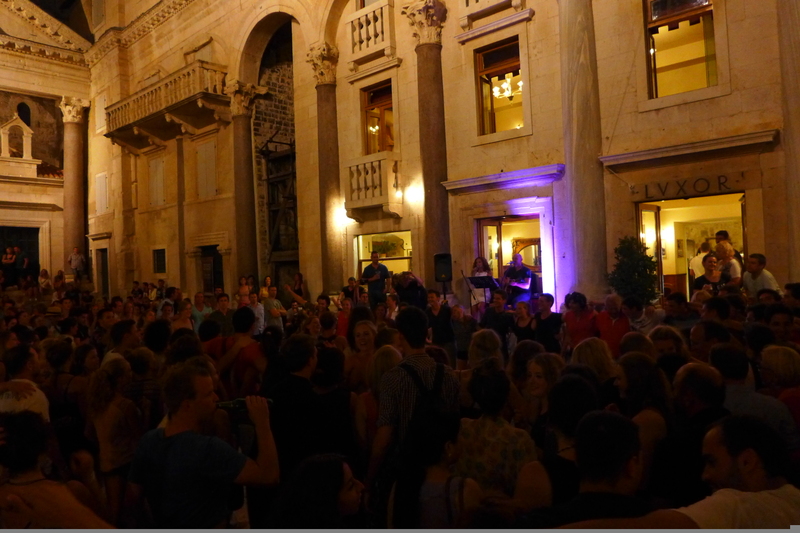 Working my way South along the coast to Pula, one of the biggest cities on the Istrian peninsula, I found myself booking a few extra nights at the local hostel after meeting a group of welcoming local youths and getting drawn into the city’s vibrant musical culture. 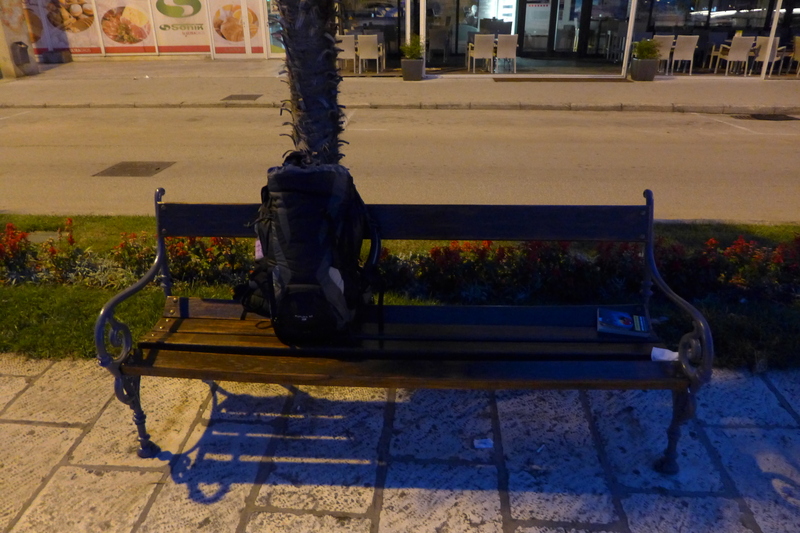 Afterwards, a 7 hour bus trip landed me in the outskirts of Zadar at 3 a.m., leaving me to wander the deserted streets, find a nice bench for a few hours sleep, and trek all the way across the city to the only affordable youth hostel around. However, after settling in and beating the unwelcome rain clouds, the hostel proved an ideal escape for sleeping, gathering my thoughts, and catching up on laundry. And all of this has led to a desolate corridor at 5 a.m, wrapping up my last hour of work for the night shift. 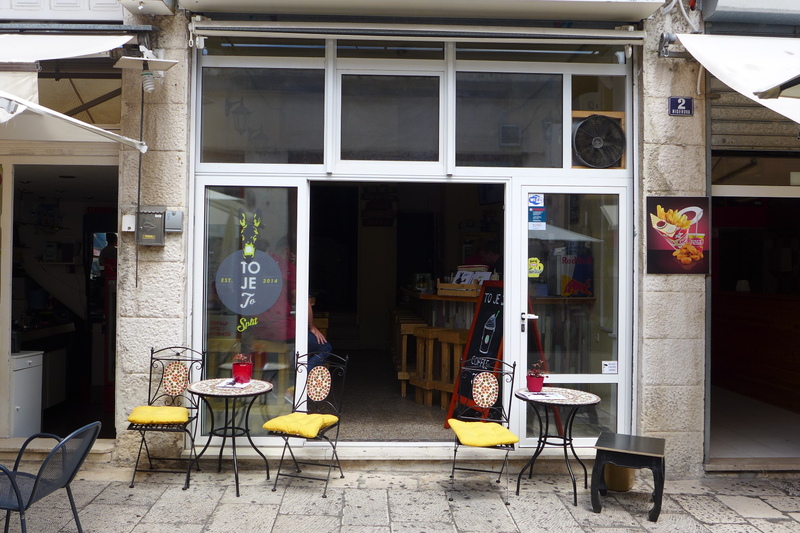 However many surprises Croatia has thrown my way, Split has topped them all, including a job at a local, popular hostel. Knowing very little about the city, I arrived by bus in the early afternoon with the usual plan – walk around in search of a cheap place to stay. What I didn’t realize, however, was how popular of a destination Split was. Moments after getting off of the bus, hoards of tourists whizzed by, dragging me along in the midday heat towards the city center. There, my hostel-hopping would begin. Two hours and seven unsuccessful attempts later, I started to wonder whether there was anywhere available in the city. Utilizing my newly developed skill of uncovering wifi passwords, I logged onto booking.com at a nearby cafe and found one available room, which I instantly booked. 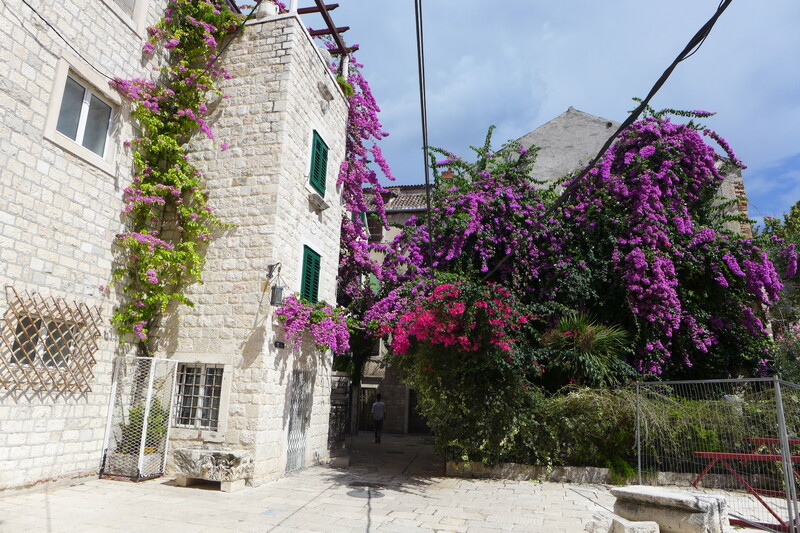 Following the directions to the address and happy to have finally settled things, my joy quickly dissipated when I arrived at a dilapidated apartment building with eight different buzzers, none of which indicated any sort of hostel. Giving up after an hour of fruitless attempts to contact the hostel, a subsequent online booking attempt led me to a 5 star hotel, where I was informed that the place I was looking for had been closed for a year. Just as I was about to give up and head to the train station, Adriatic Hostel came to the rescue with one available bed. Relieved, I checked in and threw myself on a bunk in a 10-bed dorm room and took a well deserved nap. 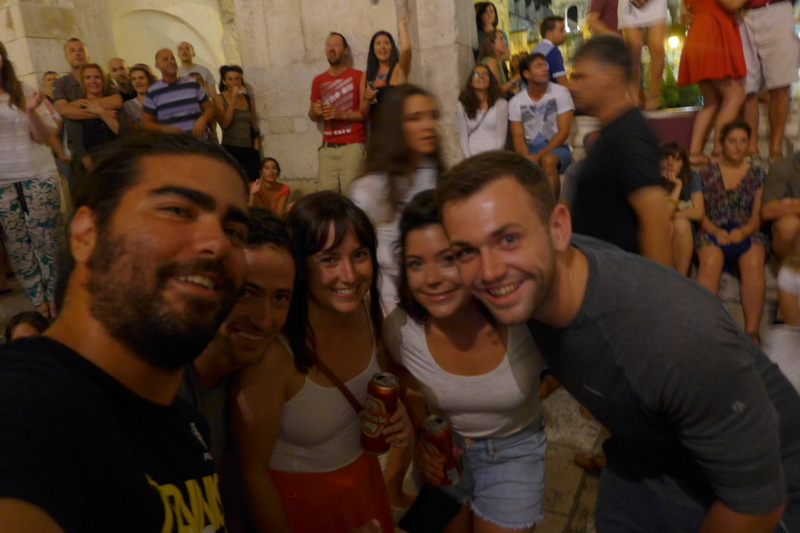 All of the searching turned out to be worth it..the Adriatic had a lovely staff and very social environment, bringing together young backpackers from all over the world. 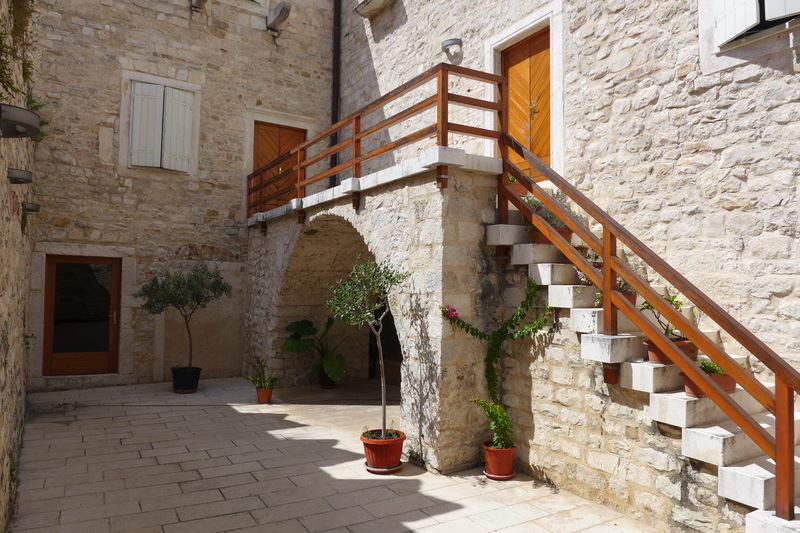 I was happy to have found such a place, but unfortunately their availability was only for the first night, with the whole building completely booked for the following few days. 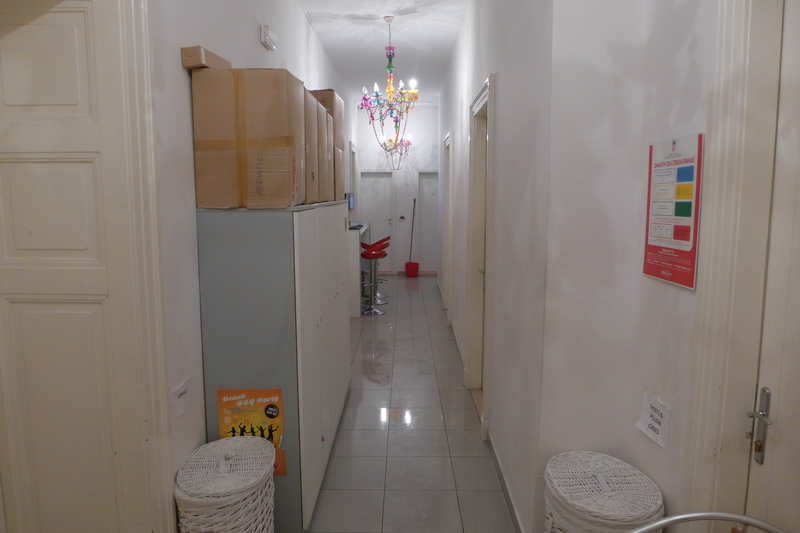 However, something caught my attention – the hostel was quite understaffed, with only two people working during the day and no one around at night. After asking about the situation, I learned that one of their employees had recently become seriously ill, and another had left for an indefinite period of time. The solution was quite obvious..they were looking for an extra pair of hands, and I a place to stay. The following night, my shift started at 10 p.m. I was responsible for late arrivals, cleaning, and other general housekeeping activities. In exchange, I received free accommodation for the day. Fortunately, it was a slow night, and I had a chance to upload photos, read and chat with other night owls. With the early sunrise, I called it a night. Abruptly woken up by the shaking of my bunk, I looked at the time and realized I had only been asleep for three hours. Staring back at me through the maze of bunk beds was the source of the shaking, Chad, a fellow I had met the first night of my stay. Having chatted a bit more during my night shift, I recalled that he was planning on leaving Split a few days ahead of schedule. And the reason for this unwelcome wake-up call – Chad offered to give me his spot in the hostel for the next two nights. 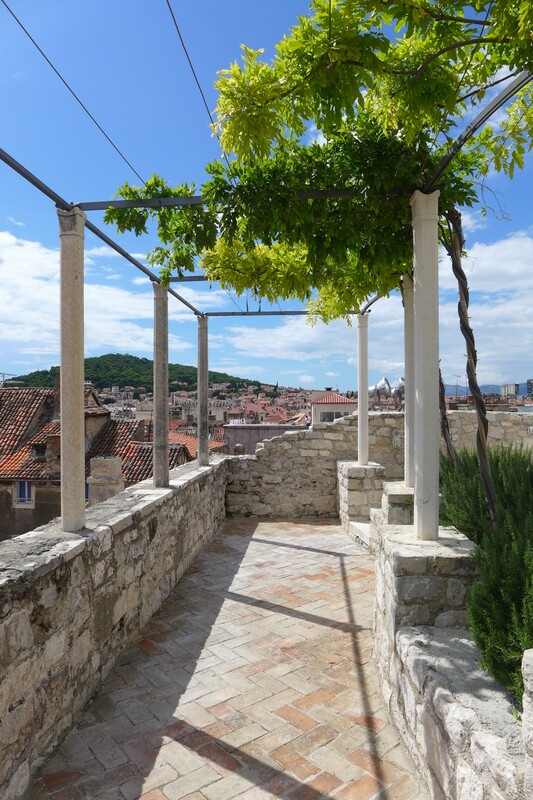 What began as a hopeless scurrying through an unfamiliar and crowded city turned into an unexpected six days of surprises, new friends and enjoying the hidden gems that Split had to offer. This sounds like one of the best adventures ever! 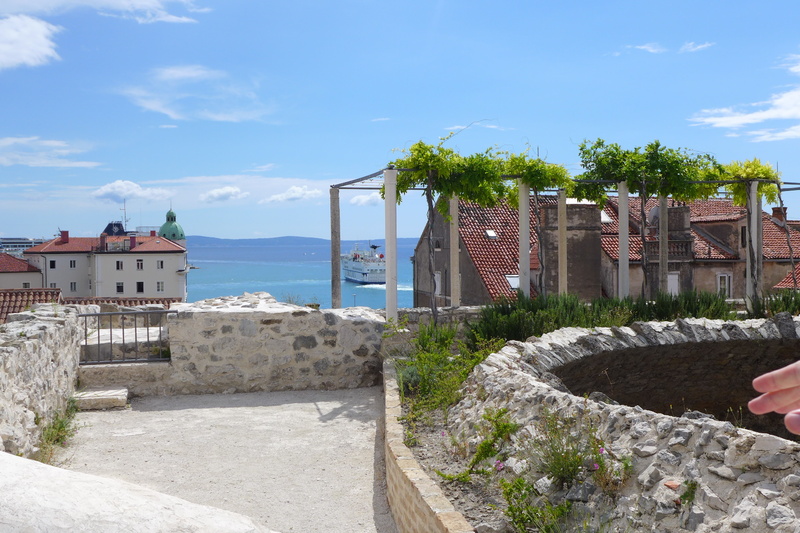 Employed in Split! Love it! !